This is how you insert a PDF file using the Joomla core. For this tutorial, I have used Joomla 1.7. I will assume that you are using a standard installation of Joomla and that you are using the default text editor TinyMCE. If you're using JCE, you can follow most of the procedure even if some of the screens may look a bit different. 1. 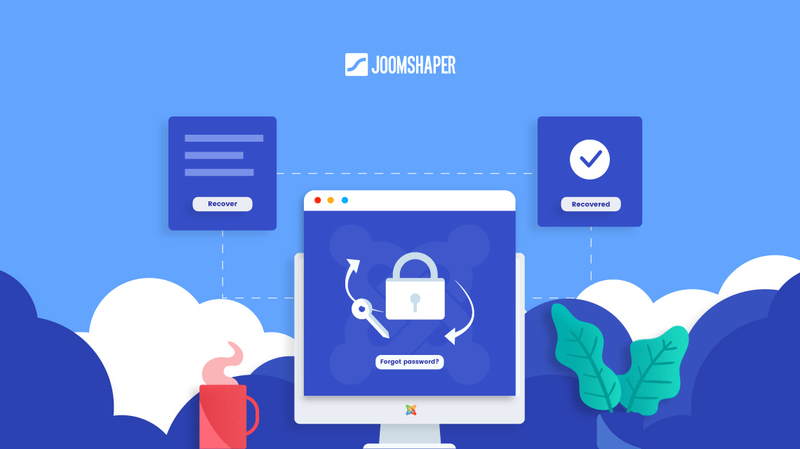 First, you need to upload the PDF file (or other type of document file) to a folder in the Joomla Media Manager. In Joomla 1.6 and later versions, the Media Manager is found in the Joomla administrator -> Content menu -> Media Manager. In Joomla 1.5 it is found in the Joomla administrator -> Site menu -> Media Manager. You will need to create a folder to contain your PDFs if you don't already have one. I think this is better than putting the files in the root folder (which is /images/ or similar). You can create the folder in the Media Manager window. On the left side of the window you will see the folders in your images root folder, on the right side are the files in those folders, and below are the create folder and upload functions. When you have navigated to your folder, you can upload the file using the "Start Upload" button (click the "Browse" button to select your files. 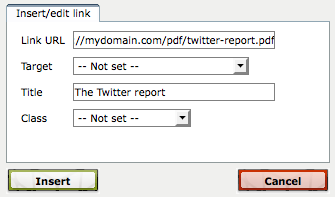 In fact, you will see parts of the URL in the text field below the file window. This is the full server URL, though. So it can be a bit confusing. Nevertheless, the portion (on my server) behind the /www/ is the on I'm after. On your server it might be /public_html/ or something else. Obvious, right? Didn't think so... Actually, I recommend you always test the file URL in your browser before using it further. When you have verified the URL, copy it to your clipboard or into a text document for later use. You will need it in a minute. 3. 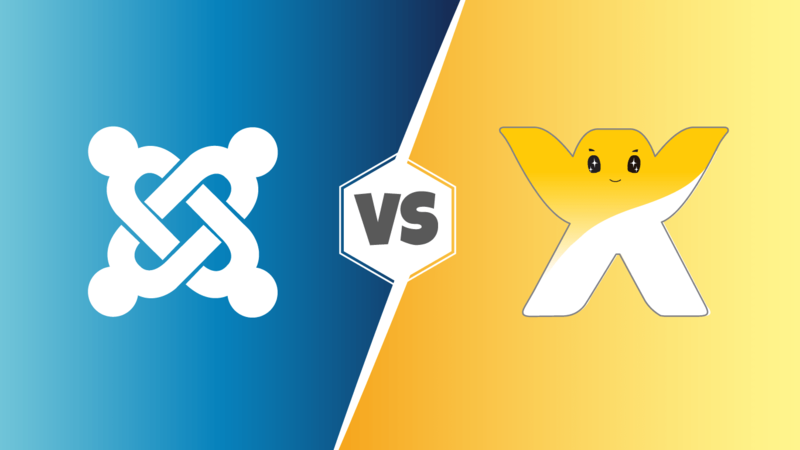 Create an article in Joomla in which to place the link. 4. You should create a text like "The PDF file" or whatever you would like as your link text. Select the text and click the link icon in TinyMCE (the standard text editor in Joomla). 5. Now, paste in the link you created earlier (to your PDF file). Click "Insert". Finally, the link to the PDF file has been inserted into the article and you can save the article as you normally would. Now, all you have to do is to create a menu item linking to the article and you're all set.